I love a big thick juicy homemade beef burger just as much as any one else, but I also love coming up with tasty alternatives to the all American meal. When I saw a recipe for an Italian sausage burger on Huffington Post I knew I had to try it. 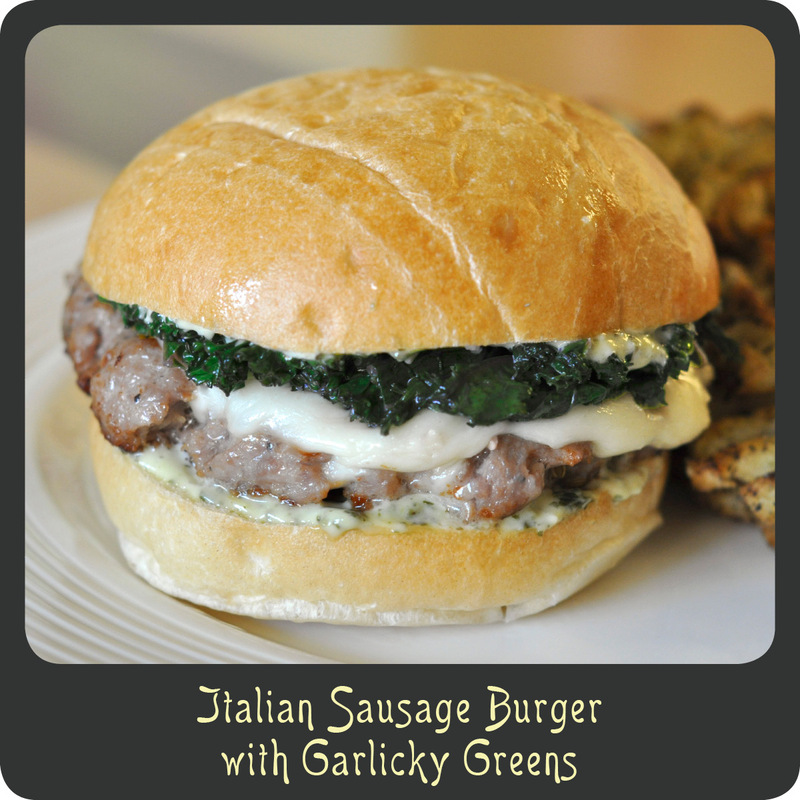 I love the flavor of Italian sausage and like Popeye I love my greens. So I made my own little tweaks and made these fantastic Italian sausage burgers. They were awesome! They are definitely rich, but oh so tasty. Add the sausage patties and cook until browned on the bottom, about 5–7 minutes. While the sausage patties are cooking, heat the olive oil in a large skillet over medium-high heat. Add the garlic and chopped greens. Cook until the greens are wilted and tender and season with salt. Place the ciabatta rolls in the oven to lightly toast and heat through. In a small bowl mix together the pesto and mayonnaise. Spread the cut side of each roll with the pesto mayonnaise. Place the cooked patty on the bottom bun and top with cooked greens and top bun. Recipe adapted from Huffington Post.